Fiat Chrysler Automobiles is currently reducing its fleet sales. Year-over-year for December 2017, the automaker had reduced these by 42% overall, bringing its total fleet sales percentage to just 12% of all FCA sales in December. The Jeep brand’s reduction in fleet sales? A 75% drop year-on-year. All of this, FCA says, is in line with its US strategy to lessen its sales to the daily rental segment. In the figures, it means that Jeep, the sixth-best selling brand in the USA last year, fell by 11% on its sales total for 2016, with its market share shrinking from 5.3% in 2016 to 4.8% for 2017. Here, we look at the sales stories of some of Jeep’s most popular products from last year, and discuss each in turn. Jeep Grand Cherokee sales increased a whopping 13.4% on 2016’s totals. Jeep had been enjoying a growth streak in the USA with the Grand Cherokee that lasted from September 2014 all the way to October 2017. Three years of constant, year-on-year growth in its monthly sales figures since it last received a refresh. 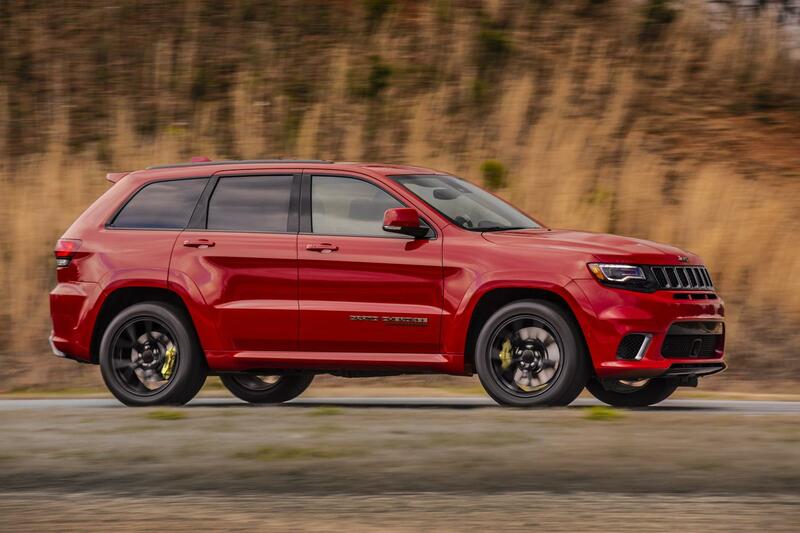 The Grand Cherokee’s growth this year put it almost on par in terms of sales volume with its main rival, the Ford Explorer’s performance from last year. The Explorer widened the gap though, itself posting 9.1% sales growth on 2016. The Grand Cherokee remains a comfortable second in the midsize SUV segment however, as the next-best-selling midsize SUV, the Toyota Highlander, remains 25,000 units adrift in the standings. 2017 also saw the addition of the ballistic Trackhawk to the Grand Cherokee’s lineup, broadening its appeal by providing a bit of everything, for the motorist who seeks the ability to seat five plus luggage in comfort and launch them altogether from 0-60 in a supercar-bothering 3.5 seconds. The 2018 Wrangler was revealed by FCA in November 2017 at the Los Angeles Auto Show, one which Jeep will be very keen to get right. Wrangler devotees are a fickle bunch, and by and large they’re not interested in the modern fripperies that adorn pretty much every other model in Jeep’s current lineup. They just want it to be able to take a beating, and to be world-class off road. Early reports suggest they have hit the mark with this one, which would put Jeep division in good stead going into 2018. But the sales figures from 2017 do reveal something about the value of having a timeless icon in a brand’s offering. 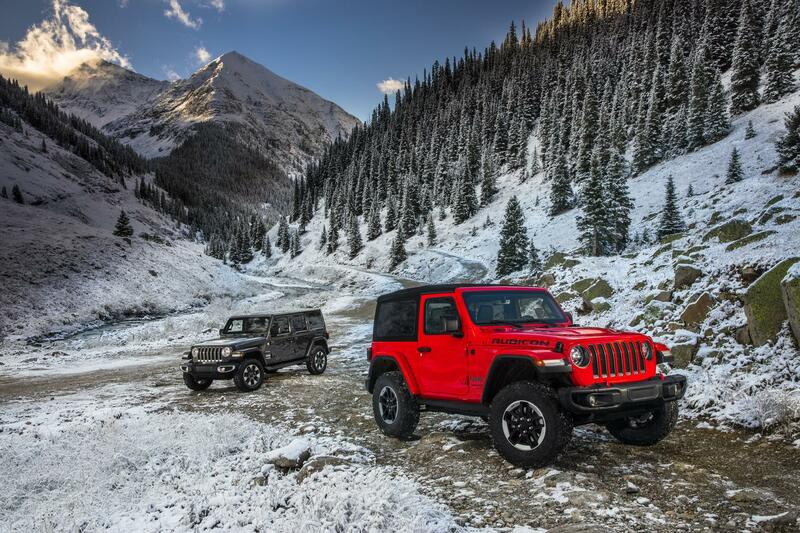 Even with the announcement of the new model, and the overall decline in vehicle sales in the USA, sales of the Wrangler remained fairly consistent with 2016’s levels. And, barring 2007, the Wrangler is selling more than double in the States per year now compared with any year from the previous decade (2000-2010). A sluggish Q1, Q2 and Q3 for the Jeep Cherokee saw it take most of 2017 on the back foot. Sales recovered somewhat in the final three months of the year, the Cherokee drawing equal with its performance in October 2016 in 2017’s tenth month, before posting significant year-on-year increases in November and December. A new 2019 Jeep Cherokee has only just broken cover at the Detroit Motor Show, and Jeep really need this one to be a winner in 2018. 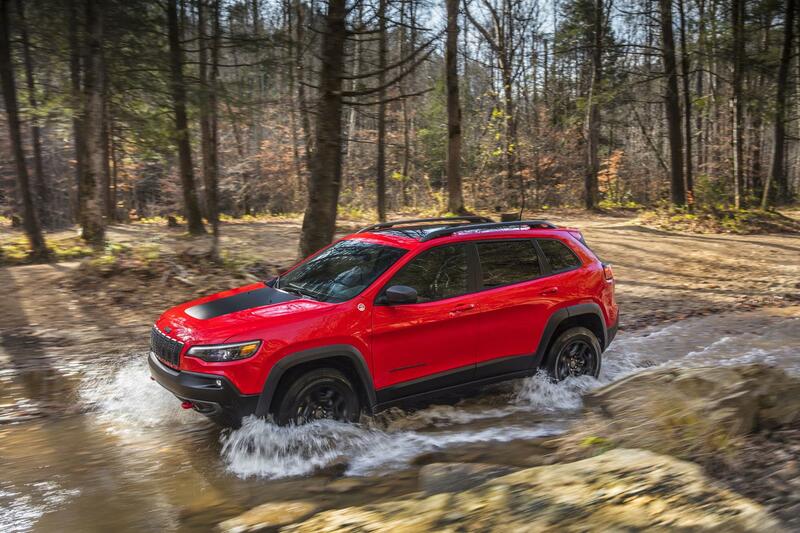 The 2019 Cherokee receives more than just a visual update to bring it into line with its big brother, the Grand Cherokee. Also on offer are updated – and in some instances, turbocharged – engines, with the aim being to improve fuel economy. With these, Jeep will be hoping it can bring the Cherokee back fighting, propelling it back up closer to the 200,000-units-a-year mark in the USA. 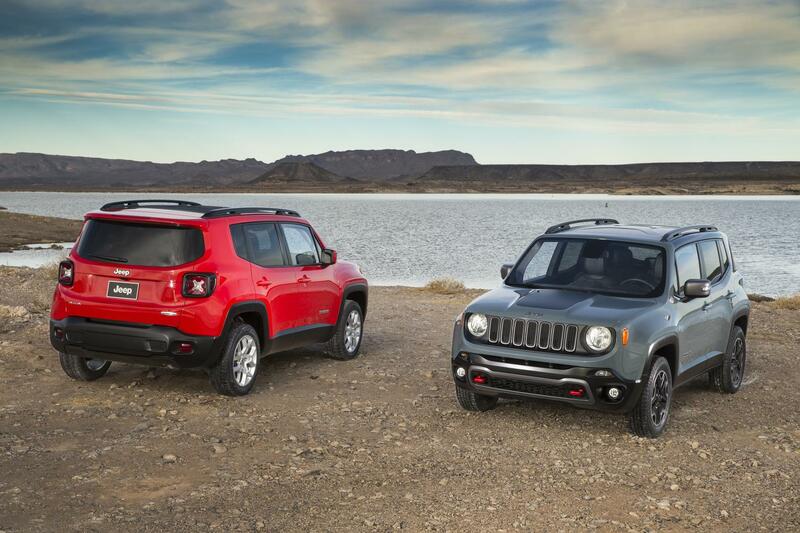 After a 75% increase in 2016 over sales of the Renegade from its first year on sale, the smallest vehicle in Jeep’s lineup slid back 3% on 2016’s total in 2017. A raft of updates for the littlest Jeep was announced by FCA back in September, which could help it claw back into the green in 2018. With the Renegade aimed at younger customers, the updates focus on the interior, with updates to the audio system and the inclusion of reversing camera as standard across the range. Sales of the Jeep Compass shot up in the last four months of 2017, with the introduction of the new Compass marking the end for the Jeep Patriot nameplate. Compass sales are still not making up for the loss of the Patriot though, creating a net loss in units sold overall for Jeep so far. In 2016, sales of the Patriot were 121,926, to the Compass’ 94,061. 2018 will let the new Compass really get into its stride, as its first full year on sale in this guise. 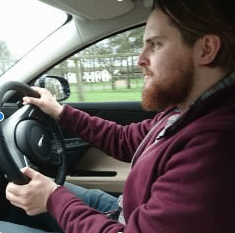 It’s pitching up in a tough segment – one ruled by the likes of Toyota, Nissan, Honda and Ford at present – and currently selling less than a quarter of the segment leaders. 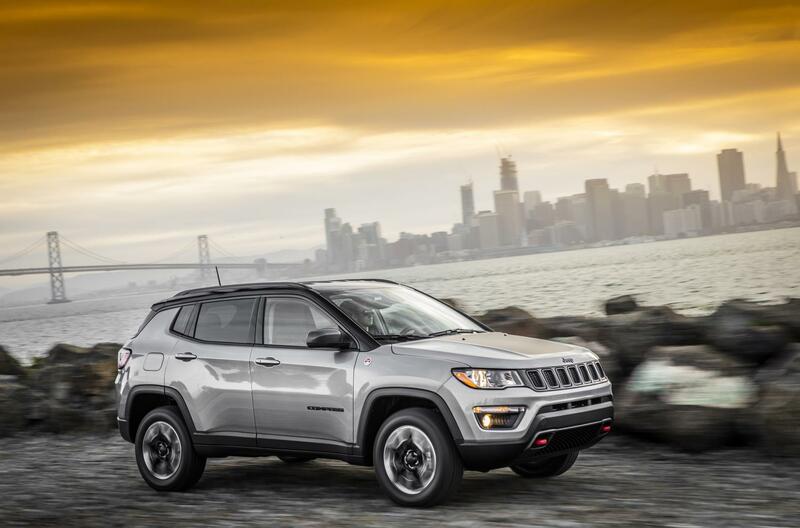 Time will tell if betting on the Compass is a step in the right direction for Jeep.